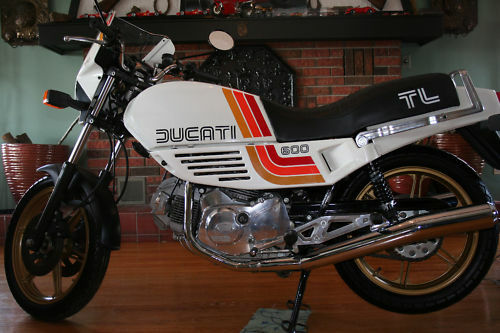 From the land of Canada comes this fantastic looking Ducati 600 TL – and yes, the styling is straight from the 1980s. 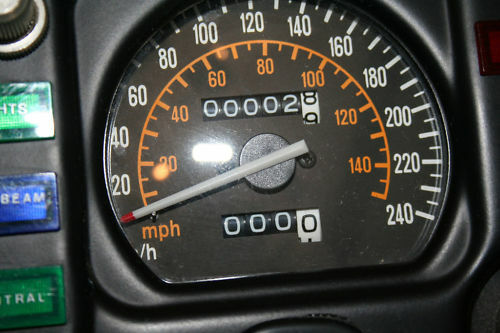 This bike has almost no miles and is a relatively rare model given Ducati’s meager importation into America during this timeframe. As befitting such a “nearly new” bike, the condition appears to be flawless and it is clear that the owner has fawned over this bike with great care. 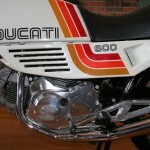 New Ducati 600 TL with original 2.9 miles. This is truly an unbelievable find! 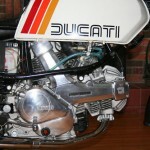 A must for a serious Ducati collector! I bought this bike from the original stocking Ducati dealer. It comes with books, tools, parts manual, original sales brochure and two sets of keys. 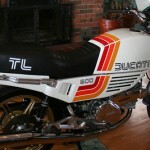 The former Ducati dealer told me that in 1982 20 TL’s came to the US, and this is one of the 20. This bike has never been driven and the battery was never filled. It is in excellent condition and has always been stored inside! 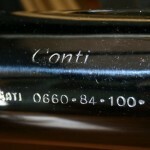 It has Conti mufflers and 36 Din dell’Orto carbs. It still has a US Title. 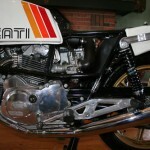 The Pantah was the successor to the popular bevel drive line of Ducati v-twins. With it, Ducati introduced a new method of driving the desmo valve actuation (via toothed rubber belts) that continues to this day. The real benefit was in manufacturing; while the bevel drives required painstaking work to shim and adjust, the belts were easily and quickly adjustable – speeding up production. 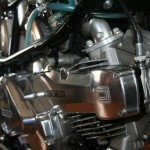 This seller has posted some great pics of the bike, and it certainly looks the “near new” part. But it begs a question: What is with Candadians parking their bikes inside the house? 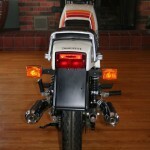 This is not the first time we have seen “housebroken” bikes, as evidenced by this post on our sister site, RareSportBikesForSale.com. 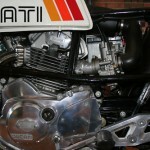 Still, if this is the way one keeps a bike looking this clean and new, I wish more sellers engaged in this practice! and check it all out. Tell ’em CSBFS sent you!